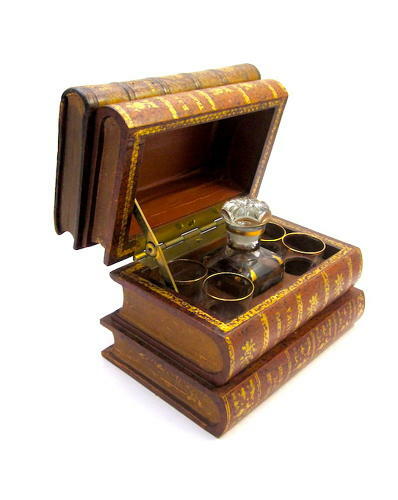 Antique French Leather 'Book' Casket Box Enclosing a French Cut Crystal Decanter and 4 Cut Crystal Glasses all with Gold Rims. Wonderful Antique French Tantalus made from Genuine Leather Stacked Books. Inside there is an Original Antique Decanter Set.